2 sachets of freeze-dried yogurt ferment. 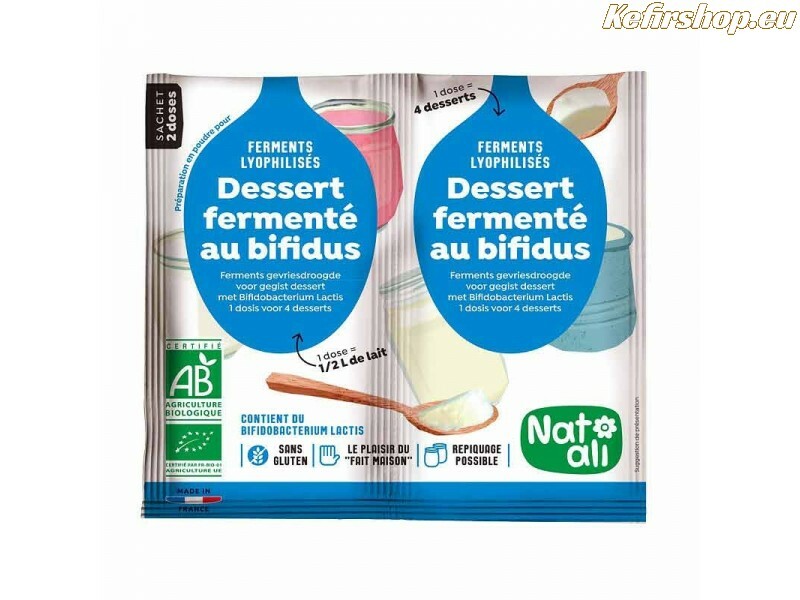 Add the contents of one sachet to 1/2 liter of milk and make your own Bifidus yogurt. Instructions on the sachets are in Dutch and French. Make Bifidus yoghurt at home, discover the benefits of homemade fresh yogurt with Bifidus. Make your own natural yoghurt with probiotic cultures, you'll benefit a better digestion, increased resistance and have less chance of food allergies! Making bifidus yogurt is easy. After fermentation, place the cups with yogurt in the refrigerator to cool down before serving. Instructie op het zakje in het Nederlands en Frans. In order to obtain a positive effect on the intestinal flora, a daily dose of 1 to 5 billion probiotic BACTERIA is recommended. Homemade Bifidus yogurt based on our recommendations guarantees the daily dose of "bifidus". 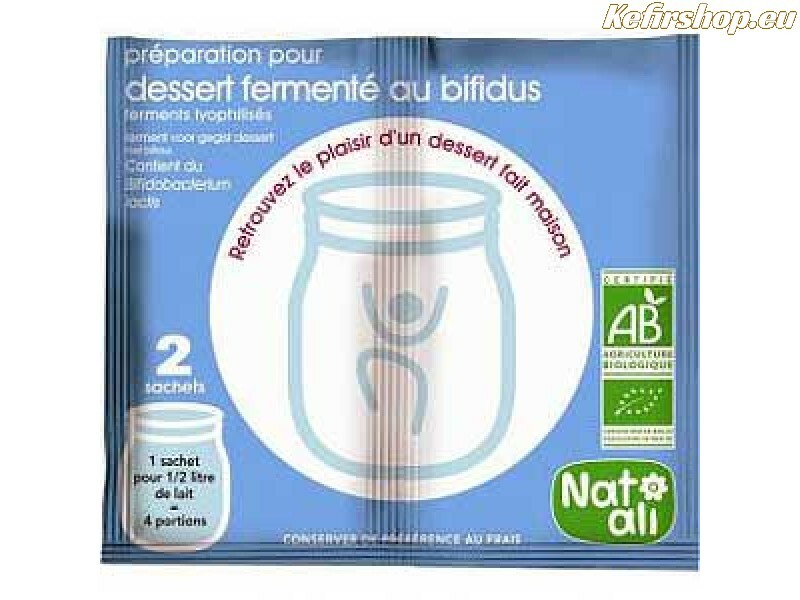 With one package you can make 8 x 125 ml of fermented bifidus yogurt. Ingredients: Milkpowder (*), Bifidobacterium lactis, Streptococcus thermophilus, Lactobacillus bulgaricus. * Products from Organic farming. Nutritional information: 100 grams of powder: Energy: 1341 kJ / 316 kcal; Fat: 1.3g of which saturated: <0.1 g; Carbohydrates 46g, of which sugars: 46g; Protein: 30g; Salt: 0.49g. NATALIis a "BIO" brand. NATALI only uses raw materials from organic farming. The brand promotes fair trade through the integration of people with disabilities in the workplace. NATALI is also a partner of the association in Bolivia "Inti Sud Soleil". Tips:May be re-cultured, add 2 to 3 tablespoons of your current yoghurt to 1 liter of milk, use the same method as described here above. The fermentation process can now take a little longer, but regularly check the yogurt preparation. The fermentation time is also dependent on your yogurtmaker, the preset temperature may be different. 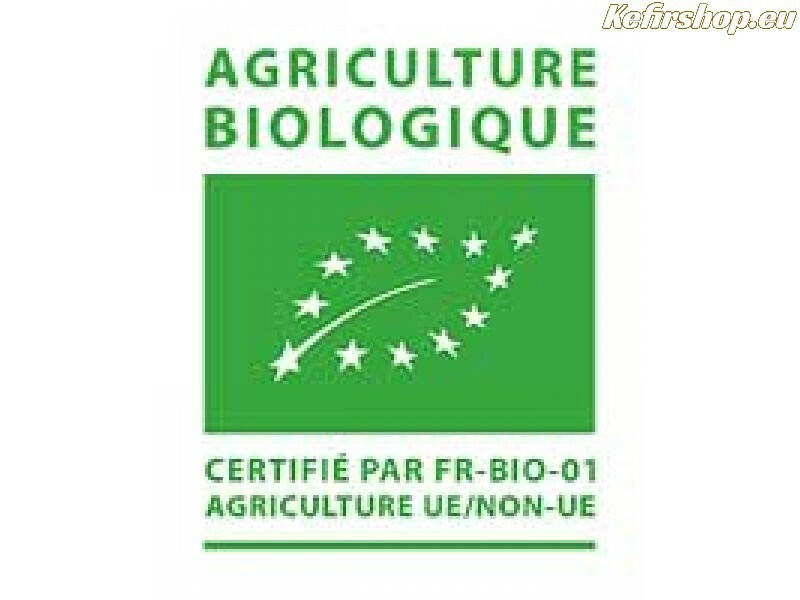 Use only sterilized milk, raw milk may already contain other BACTERIA impeding the bifidus growth..